Nearly every day, particularly in this first – year of the administration, of President Donald Trump, we’re confronted with real, and/ or perceived risks, challenges, and so on, equally, at home, in the United States, in addition to internationally. Obviously, the threat of terrorism, if according to some theology, or emotional issues, is real, and, frequently, somewhat, frightening! Every two years, either the Summer or Winter Olympics, are held, on a rotating basis, and, at these, international adversaries, come together, to try to win medals, based on achievements, without regard to their national strengths, etc! At this year’s events, held in South Korea, by way of instance, North and South Korea, have formed a joint, combined group, even though, the leader of North Korea, has often threatened the rest of the area, with devastation, etc.. Wouldn’t it be nice, if we could all, come together, in real life, like at the Olympics, and also be in a position to oppose and compete, in a calm fashion, rather than the often – vitriolic one, differently? Here are 3 compelling aspects, and examples. 1. Competition, but sportsmanship: Rather than threatening others with devastation and annihilation, Olympic competitors seek to do all they could do triumph, and conquer their competition, but end up, demonstrating sportsmanship, and a highest level of honour, and caring! If just, world leaders, were ready, willing and able, to pursue the highest level of national success, etc, wouldn’t this be a safer, more secure, universe? 2. National soul, and one – world: While there may be numerous individual needs, goals, and priorities, and a helpful, nationalistic spirit, etc, leaders must recognize, we share one planet, and for that reason, there must be a spirit of cooperation! 1 example, is protecting the environment, for the common good, and while many countries have come to understand this, President Trump continues to articulate an America – first doctrine, while denying, climate change science! You couldn’t have an Olympics, if any nation, decided, they were taking their ball home, and moving – it, alone! 3. Being the best, versus good – enough: Olympic athletes train, to become the best in their individual sport! They realize, one just wins a trophy, if he earns it, by getting the very best! Far too often, we witness federal leaders, focus on personal self – interest, and politics, rather than accepting good – enough! 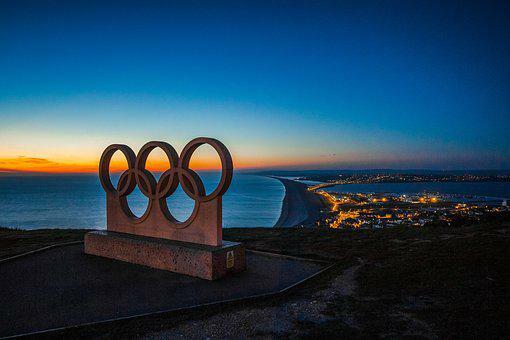 If the world proceeded, with the authentic, Olympic spirit and ideals, there would be more, openness, to agree, to disagree! It’s up to the electorate, to demand this, of leaders!